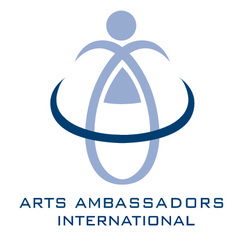 Arts Ambassadors International is to be made up of official Arts Ambassadors from around the world including the U.S. Arts Ambassador and the National Arts Ambassadors. The purpose is to identify worthwhile causes to support and to unite communities in support of the targeted cause. We would use art as the vehicle for addressing the issues as well as to help raise much needed funds. 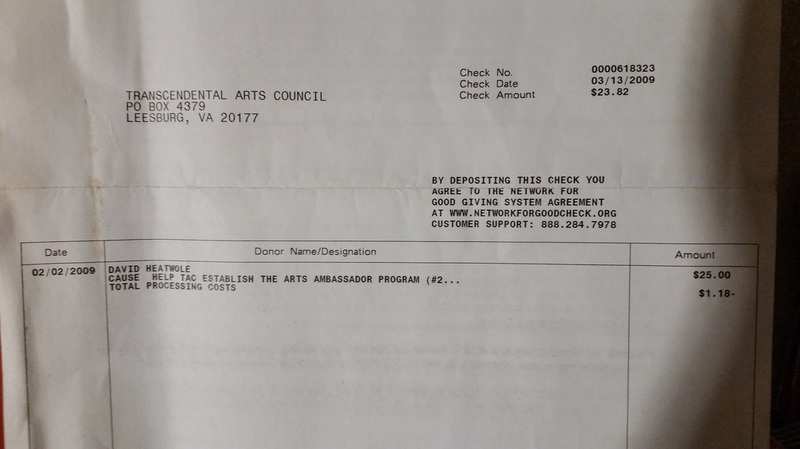 Websites will help each states Arts Ambassador Office communicate with their state as well as be an additional online portal where people can go to learn about that state's "art scene." 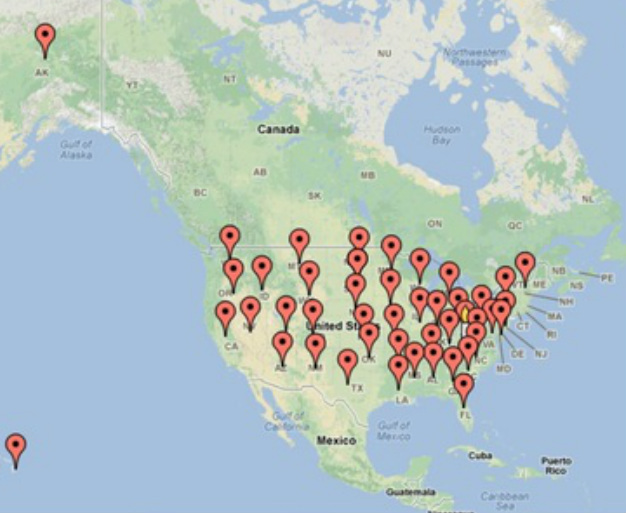 We currently own URLs for nearly every state or region based on size of state and/or size of their art scene. Funding is needed to start up each office as well as to start each website. Heatwole is planning to go on a cross country trip to begin the process of raising funds for this venture as well as to establish each National office. READ ABOUT TACNET IN THE NATIONAL VISION. Irony is everywhere. As I attempt to go from a zero balance to 1.5 million dollars to fund a variety of projects I am also straightening up my 2 studios and storage spaces. I am going through old suitcases, portfolios, file cabinets, multiple briefcases, boxes, bags and shipping tubes to find my past that ties all of this together. In the process I found this receipt from Anthony Peter Senecal, former Mayor of Martinsburg and butler to one of the worlds best known of the 1% - Donald Trump. I am so thankful to Mr. Senecal for the contribution which helped pay for the 1st business cards.